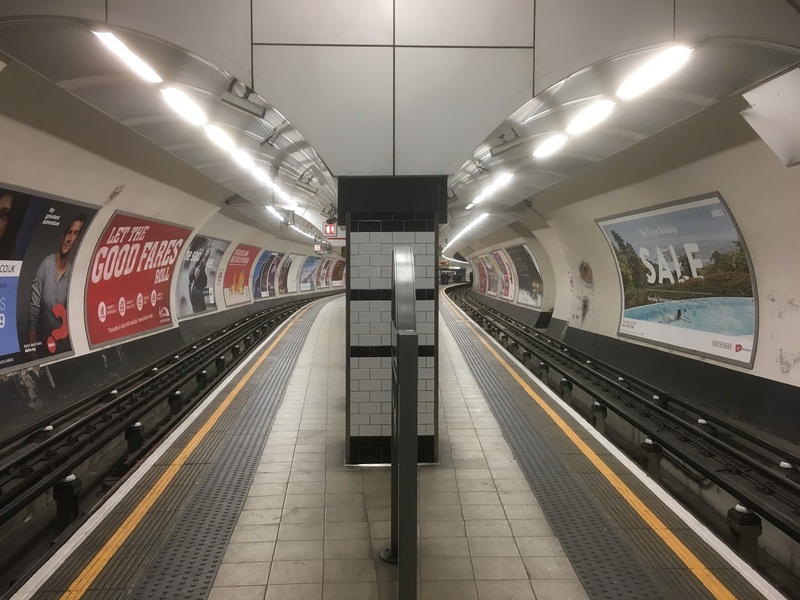 The Overground, Thameslink and Crossrail are key modern developments in London's railways, providing seamless connections for travellers across the city. But they are not really a new idea. In the late Victorian era London also had a sophisticated network of cross-city railways, and many of the modern schemes are only recreating what was available then. London's very first railway - the first in the south east of England in fact - was an urban railway. The London & Greenwich opened in 1836, travelling at rooftop level over 878 arches (which still survive and remain the longest run of brick arches ever built). Service on this line was surprisingly frequent, with trains every 15 minutes, not much less than today. Most early railways focused on long distance traffic, however. The London termini were built on what was then the outskirts of the city, and so coming out of London Bridge the countryside began at New Cross. The fields also started immediately one left Paddington and when Ealing (now Ealing Broadway) station opened in 1839 it was a rural halt. On the line out of Kings Cross, opened in 1852, the first stop was Hornsey, a leafy village. Finsbury Park - originally Seven Sisters Road (Holloway) - did not open till 1861. A few early lines did have more of what we might think of as a suburban character, however. In the 1840s the London and South Western Railway (LSWR) opened the line to Richmond and Windsor, and the Hounslow Loop leading off from it. Meanwhile the West of London and Crystal Palace Railway, opened in 1856, was designed to take Londoners to the new site of the Crystal Palace, which had been moved from Hyde Park to Sydenham after the Great Exhibition of 1851. This line had stops at New Wandsworth (now Wandsworth Common), Balham, Streatham Hill, West Norwood and Gipsy Hill. On the other side of London, Fenchchurch Street, the first station within the historic boundaries of the City of London, had opened in 1841 as the terminus of the London & Blackwall railway. Its purpose was to provide a short cut for boat passengers from the far side of the Isle of Dogs to the City. These boats included not just cross-Channel services, but paddle steamers to Margate or Gravesend - the routine way to get to these places in the pre-railway era. Not surprisingly those steamer services soon fell victim to the expansion of the railway network and so the London & Blackwall looked for other railway companies to share its terminus. 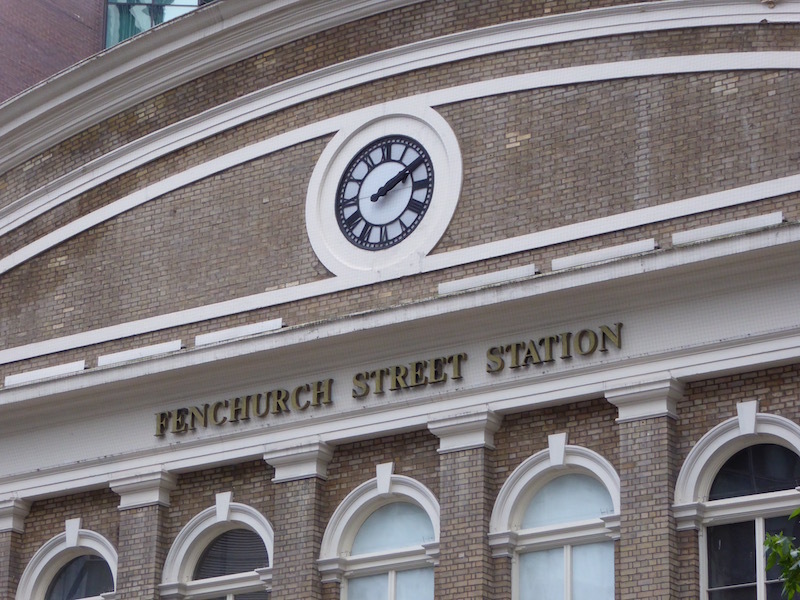 The London, Tilbury and Southend, the Eastern Counties Railway and the North London Railway all started operating services from the station in the 1850s, and Fenchurch Street became an important London commuter hub. The North London Railway had started life in the late 1840s as the snappily named East & West India Docks and Birmingham Junction Railway. It opened a line from Bow on the London & Blackwall to Islington (now Highbury & Islington), Camden Town (now Camden Road on the North London Line of the Overground) and Hampstead Road. Later called Primrose Hill, this last station was on the main line out of Euston, near where Chalk Farm tube station is today. Remains of it are still visible. When this line opened it passed through an area that was entirely rural, with Stepney, Homerton and Islington still country villages. The newly built Pentonville Prison, passed by the line, was also surrounded by fields. By the 1870s, however, the whole area had been built over. Meanwhile the North London Railway was growing. It was two-thirds owned by the London & North Western Railway (LNWR) which ran trains from Euston to Birmingham, and the NLR used the lines of that company to carry on from Hamsptead Road to Willesden Junction. From there in 1853 the North & South Western Junction Railway branched south to Acton and Richmond, with another branch (still largely in existence but not used for passenger services) to Kew Bridge. Trains ran from these places into Fenchurch Street via the NLR lines. Congestion on the Euston main line then prompted the company to build a by-pass line to the north, going from Camden Town to Gospel Oak, West Hampstead and Willesden Junction and opening in 1860. The route of the current Overground line (for a long time known as the North London Line) was thus set, though the company continued to run some services on the original Euston main line route in order to serve Hamsptead Road, South Hampstead, Kilburn High Road and Queen's Park. The route to Fenchurch Street was a roundabout one, however, and in the 1860s the NLR, backed by LNWR capital, built a line south from Dalston Junction to a new city terminus at Broad Street on the west side of what is now Liverpool Street station. This opened in 1865. All trace of Broad Street has now disappeared, but it was a substantial terminus with seven platforms, later rising to nine, and during the Victorian era was extremely popular. Passenger numbers on the North London Railway doubled to 14 million the year it opened and reached a peak of 46.3m in 1896 (not much fewer than London Bridge has today), making Broad Street the third busiest station in London after Liverpool Street and Victoria. At its height Broad Street had four trains an hour to Bow and Poplar (the line having been extended to the latter station in 1852, though passenger services did not start till 1866); four to Hampstead Road, stopping at all stations; four semi-fast to Willesden, down to Kensington (now Kensington Olympia) and on to Mansion House (the Outer Circle: see below); and one an hour each to Richmond and Kew Bridge. The Great Northern Railway (normal base Kings Cross) also ran trains into the terminus (see below) and the LNWR ran trains from there to Watford. While all this was going on, a much more radical way of bringing rail passengers into the City had been developed. The Metropolitan Line from Paddington to Farringdon (originally Farringdon Street) opened on 10 January 1863, and was the world's first ever underground urban railway. Despite obvious challenges - no satisfactory way was ever found to expel the smoke from the steam trains from the tunnels and stations - this service became wildly popular, carrying 10 million passengers in its first year. The line was extended to Moorgate by 1865 and in 1875 to the new Liverpool Street terminus (opened the previous year) of the Great Eastern Railway. By this time the Metropolitan was selling more tickets than the Great Western Railway (GWR). That didn't bother the GWR, as it was one of the shareholders in the line (it was a way to get passengers from the City to Paddington, then on the very edge of London) and operated all of its trains for the first eight months. Once the Metropolitan took over operations, the GWR continued to run its own trains into Moorgate. This is because the Metropolitan was always designed not as a closed system but with links to main line railway services. The link to Paddington services is still obvious today, as the Metropolitan Line (or rather its Hammersmith and City branch, opened in 1864) runs alongside the main station platforms. But a link also existed right from the start to Kings Cross (used until 1976), and one was added to St Pancras when it opened in 1868 (a tunnel now used by Thameslink). There was such demand to use these links from the GWR, Great Northern Railway and Midland Railway (out of St Pancras) that in 1868 the Metropolitan Line added new tracks alongside its existing ones from Kings Cross to Moorgate - the so-called City Widened Lines. It is these lines that are now used by Thameslink. Meanwhile, another railway company had approached Farringdon from the south. The London, Chatham and Dover Railway (LCDR) was an upstart competitor which had stunned the South Eastern Railway in 1861 by creating a new route between London (Victoria) and Dover - see Bitter Competition - and its Benefits and Terminus Wars. It now sought access to the lucrative City of London via a line that went north from Herne Hill to Blackfriars Bridge (a station on the south side of the river) and then on across a bridge to Ludgate Hill (near the southern end of City Thameslink today). Both these stations opened in 1864 and the company then built the Snow Hill Tunnel to provide a link into Farringdon by 1866. This created a north-south rail route through London, one that was expanded when the City Widened Lines of the Metropolitan opened two years later. The LCDR went on to build a tunnel eastwards to Aldersgate (now Barbican: the tunnel was known as the Aldersgate Curve) and on to Moorgate, which it reached in 1871. Victorian railway companies fell over each other to use these north-south links. The LCDR, a railway that was always struggling financially, never made quite as much money as it had hoped from its own services over the lines, but it could charge fat fees to other railway operators for using them. As well as being extremely popular for freight trains right up to the 1960s, in late Victorian times a bewildering range of passenger services operated over the lines. Not to be left out, in 1878 the LCDR's big rival, the South Eastern Railway, swallowed its pride and built a link (the Union Spur) between its lines out of London Bridge and the LCDR line. Trains from Woolwich or Greenwich to Muswell Hill or Enfield used this route, though apparently because of the rivalry between the two companies SER tickets were not accepted at Ludgate Hill. In addition, the SER ran trains into Moorgate via the Aldersgate Curve. Great Northern and Great Western trains also went south of the river along the LCDR lines, and the Great Western had a freight depot (which did not close till 1962 and whose curved entrance ramp is still clearly visible) under Smithfield Market. Both companies, as well as the Midland, ran trains into Moorgate. The Great Western Railway in fact ran a great variety of trains into Farringdon and Moorgate - from Hammersmith, Kensington (now Kensington Olympia), Richmond, even Windsor. Meanwhile from the south, the London and South Western Railway (normal terminus Waterloo) ran trains from Wimbledon via Clapham Junction to Ludgate Hill, and also had a rather circuitous Richmond service, taking its own line from Acton towards Hammersmith (now the Piccadilly and District lines), then switching via a link now lost to the West London Line to Clapham Junction, and going on from there to the Ludgate Hill. Ludgate Hill itself was never a particularly grand station. It had just two through platforms and must have got very congested. In 1871 the LCDR started to build a spur line for its own trains to a new terminus at Holborn Viaduct, which opened in 1874. This had six platforms and a large hotel, making it similar to today's Charing Cross. A portion of all the LCDR's long distance trains, including boat trains to cross-Channel ferries at Dover, started from this station, being coupled to matching services out of Victoria at Herne Hill. Moorgate, by contrast, was always a commuter station, though with the appearance of a main line terminus. It had six bay platforms as well as two through lines for the Metropolitan, a buffet and parcels office, and a canopy roof that must have been something like the one that can still be seen at Farringdon (see photo above). But both it and Aldersgate (now Barbican) were badly damaged in an air raid in December 1940. Moorgate was in fact completely destroyed above platform level and never recovered its former glory. All these trains made the LCDR Farringdon line and the City Widened Lines as busy as any Underground line today. In 1865, for example, there were 352 trains a day passing through Farringdon, 116 of them Metropolitan Line services, 110 to Hammersmith, 62 Great Western trains to Kensington, 10 Great Western trains to Windsor and 30 Great Northern trains. By the 1880s there were 200 trains a day over the Widened Lines into Moorgate and 100 southbound from Farringdon through the Snow Hill tunnel. In the meantime a new underground railway had opened. The District Railway had been established as soon as the Metropolitan started services to complete what we now know as the Circle Line. It opened from South Kensington to Westminster in 1868 and pushed on to Mansion House by 1871. Originally supposed to be a subsidiary of the Metropolitan (its full name was the Metropolitan District Railway), the District soon developed a mind of its own, made worse when James Staats Forbes, chairman of the LCDR, became its chairman. His great rival, Edward Watkin, was chairman of both the Metropolitan and the LCDR's great competitor, the South Eastern Railway, so relations between the two companies quickly became frosty. They did start a Circle Line service in 1871, even though the Circle was not actually completed from Mansion House to Aldgate until 1884 (and then only grudgingly, after much pressure from the public, business and politicans). After this date, the clockwise service was operated by the Metropolitan and the anti-clockwise by the District, but each had their own ticket offices and sold separate tickets. Neither company was above sending passengers the long way round to benefit from their ticket revenue. The District, like the Metropolitan, also attracted a lot of attention from other railway companies, anxious to get to the City by a new route. This created three other "circle" routes, the first being Middle Circle, started in 1872, which involved the Great Western running trains from Aldgate to Paddington on Metropolitan lines, and then over its own lines to Westbourne Park, where it switched to the Hammersmith and City (which it jointly owned with the Met), then by a link (now lost) at Latimer Road onto the West London Line, which brought it to Kensington (now Kensington Olympia) and onto the District Lines into Mansion House. In the same year the LNWR started an Outer Circle, which came out of Broad Street, followed the North London Railway to Willesden Junction, then took the West of London line to Kensington, and went from there then back to Mansion House. Both of these circles were to last for nearly 30 years. Briefly there was even a fourth circle, operated by the Midland Railway from Moorgate or St Pancras via Cricklewood and South Acton to Mansion House, but this only lasted two years, from 1878 to 1880. While all this was going on local railways were expanding rapidly from the London termini. The 1860s in particular saw construction of many of the lines that now form the South London suburban network. The London, Brighton and South Coast Railway, for example, operating out of Victoria and London Bridge, had already opened lines to Epsom via Sutton and from Wimbledon to Croydon in the 1850s, but in the 1860s created Clapham Junction, built the South London Line from Victoria to London Bridge via Peckham, and added another line from that down to Sutton. It also created the Tooting, Merton and Wimbledon Loop jointly with the LSWR. The South Eastern Railway was never so strong on suburban lines but operated a line built by the Mid Kent Railway from Lewisham to Beckenham Junction from 1858, a line extended in 1864 to Croydon (Addiscombe Road). In the 1860s the SER also added the Dartford Loop via Lee, Eltham (now Mottingham), Sidcup, Bexley and Crayford, though this was largely as an alternative route for its main line services. In the 1870s it extended the Greenwich line and built a branch to Bromley (now Bromley North). Even though these developments stimulated new suburbs, the company was reluctant to add more local lines, however, and was widely criticised in the 1880s for being too fixated with continental traffic via Dover and Folkestone. Instead a private company built the line from Elmer's End to Hayes, opening in 1881, and another financed the line from Lewisham to Dartford via Blackheath, Eltham (the current station of that name), Welling and Bexleyheath, opening in 1895. Both were taken over by the Southeastern when they opened, in the case of the Bexleyheath line after the original investors had gone bankrupt. There was no such hesitation from the Great Eastern Railway at Liverpool Street, which was perhaps the most enthusiastic builder of suburban lines. Formed in 1863 out of a merger between the Eastern Counties Railway and other companies, it vigorously expanded its network over the next 15 years, building lines to Tottenham, Edmonton, Enfield, Walthamstow and many other places. Many of these towns saw a doubling or even tripling of their population within a decade. In the 1870s and 1880s the GER also pioneered cheap trains for workers, creating suburbs such as Leyton and Leytonstone. This is one reason why East London became a relatively working class area. It also meant that London spread out further earlier here, with the continuous suburbs reaching Enfield by 1914, when Richmond and Wimbledon were the westward edge of London and Twickenham and Hounslow still market towns. All of this made Liverpool Street the busiest station in the capital by 1900, a crown it held until 1925. 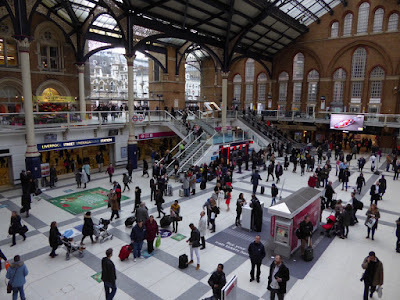 (Today Waterloo is the busiest, followed by Victoria). 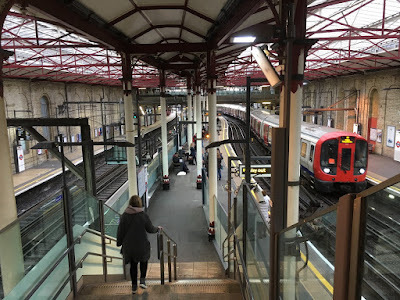 Incidentally the station originally had its own direct connection to the Metropolitan Line which is why its platforms were built below ground level. This proved a mistake, as the through line was rarely used and was removed in 1907. Meanwhile in steam days trains had big trouble pulling up the gradient to Bethnal Green. On the High Barnet branch the railway stimulated development straightaway, however, and it thus became the main line, with the much more rural Edgware branch served by a shuttle service from Finchley. Trains on these routes went not just into Kings Cross but also into Moorgate (via the City Widened Lines) and Broad Street (via the Canonbury Spur, a new link between GNR and NLR lines opened in 1875 - primarily, it has to be said, to run freight trains to and from London Docks). The Great Eastern also wanted a share in the traffic to Alexandra Palace and built a branch line from Seven Sisters to a station called Palace Gates at the eastern foot of the hill on which the palace stands. This opened in 1878 and the idea was to extend it up to the palace itself. But an obvious problem was the gradient (it would have required an enormous viaduct) and the extension never happened. Palace Gates was just to the east of the current Alexandra Palace station on the Kings Cross main line, which had opened in 1859. This, confusingly, was known until 1982 as Wood Green, even though it was more convenient for the palace than Palace Gates, while Palace Gates was more convenient for Wood Green. Trains from Palace Gates ran into Liverpool Street via Hackney as well as via Stratford to North Woolwich (a station on the opposite side of the Thames to Woolwich, but connected to it by a foot tunnel). In 1910 there were up to 50 trains a day on these routes. Another initiative of the Great Eastern was the Tottenham & Hampstead Junction Railway, now part of the Barking to Gospel Oak Overground line. First proposed in 1862, this was a consolation prize when an attempt by the company to build to tunnel from Hampstead to Charing Cross and so gain access to the West End was rejected by Parliament. Instead the GER opened a line in 1868 from Highgate Road (north of the current Kentish Town) to Fenchurch Street via Tottenham. This was a failure and in 1870 the Midland Railway, based at St Pancras, took over the line, opening a link between it and Kentish Town, and running trains from Moorgate via the City Widened Lines to Tottenham. 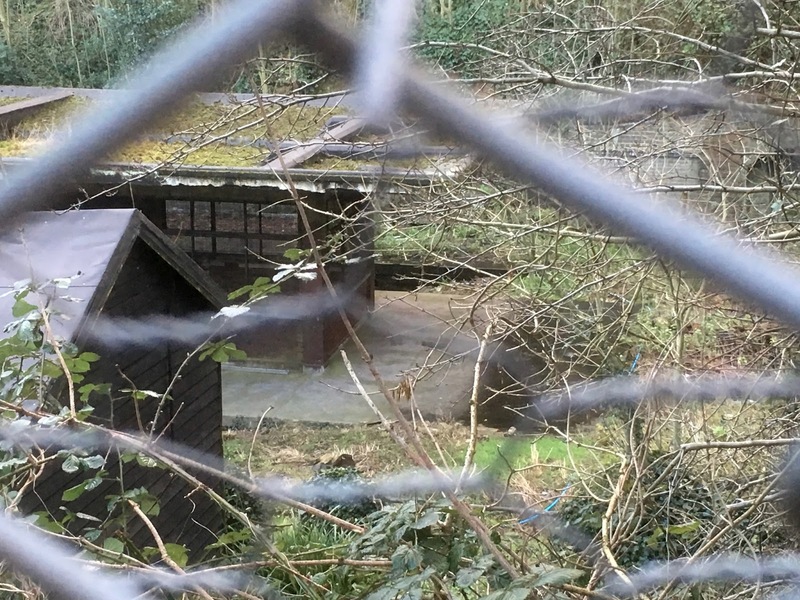 In 1888 a link was built from Highgate Road to Gospel Oak, but it was little used, abandoned in 1926, and not reopened again until 1981 (again, it is now part of the Overground). The Midland (and its successors) used the Tottenham & Hampstead to run trains from St Pancras to Southend from 1895 to 1961, and to Tilbury to connect with ocean liners until 1963. The Great Eastern (and successors) used it for services from St Pancras to Cambridge from 1870 to 1933. From 1885 to 1926 the GER also had a service via the Tottenham & Hampstead from Gospel Oak to Chingford (for Epping Forest, a popular recreational spot). Apart from Highgate Road (until its closure in 1918), now lost stations that this stopped at include Junction Road (near today's Tufnell Park station - closed 1943) and Hornsey Road (beyond the current Upper Holloway - also closed 1943). In addition the Midland main line out of St Pancras had stations at Camden Road and Haverstock Road (both closed in 1916) and Finchley Road (closed in 1927). Given that all these services existed in the late Victorian era, why did many of them not survive into the modern era? The reason was increasing competition from other modes of transport. Trams had existed since 1880, but from 1901 they were electrified, which made them easier to use than the train on many urban routes. Tram usage doubled in the decade to 1911. The deep level tube was also coming into existence. The first lines were the City and South London (City to Clapham - the ancestor of the Northern Line) in 1891 and the Waterloo & City Line (1898 - built by the London and South Western Railway to enable its Waterloo passengers to get to the City and owned by British Rail until 1994). These routes, along with early motor buses, drained traffic from the urban railways and some services never recovered. The Middle Circle ceased in 1900 with the Outer Circle following in 1909. Services on the LCDR line to Farringdon via Snow Hill were also early casualities. Great Northern services on this route ceased in 1907 and the LCDR's Borough Road station closed in the same year due to competition from the City and South London. The following year SER and LCDR trains stopped running north of Farringdon, and in 1916 their services to Moorgate ceased and the Aldersgate Curve was abandoned. Walworth Road and Camberwell stations also closed at this time and all passenger services through the Snow Hill tunnel ended, though it remained popular for freight trains until the 1960s. Ludgate Hill station limped on, but without its through passenger services it had rather lost its point and it was closed in 1929. Its facade lasted until 1990 when it was demolished as part of the Thameslink works. Nearby St Paul's station on the line into Holborn Viaduct survived, however, and in 1939 was renamed Blackfriars: this is the northern end of the modern station, which was completely rebuilt between 2009 and 2012. Other railways responded by electrifying their lines, which cut costs and provided clean, modern services just like the trams. The District was the first to switch, electrifying its lines between 1900 and 1905, with the Metropolitan following by 1907. The London, Brighton and South Coast electrified its line from London Bridge to Victoria via Peckham using overhead lines, starting its "Elevated Electric" service in 1909. It was a big hit, with passenger numbers soaring 63 percent in the first two months. In 1911 the line from Victoria to Crystal Palace followed, and Streatham Hill to Peckham Rye in 1912. To the north, the London & North Western took the visionary decision to build a whole new electric line from Euston to Watford, known as the New Line. This used fourth rail electrification so as to be compatible with the new underground services, and by 1917 the line was being shared with the Bakerloo Line (though electrification did not reach Euston itself until 1922). Broad Street to Richmond services were also electrified at the same time. The London and South Western, worried by competition from the electrified District Line, started coverting its suburban lines from 1913 onwards, choosing third rail electrification in order to be able to share lines with the District. Putney and Wimbledon were reached by 1915 and the Kingston and Hounslow loops, Hampton Court and Shepperton branches, and part of the slow line to Guildford were all electricified by 1919. Regular trains at the same time each hour were introduced on all these lines. This approach was so successful that it was then applied across the South East when Southern Railways was formed in 1923 (see The Sparks Effect). As a result suburban passenger numbers for the company continued to rise when other railway usage was in decline. Season ticket numbers could double or even quadruple after electrification, often helped by the inter-war suburban housebuilding boom. Electrification did not save every line though. Broad Street took a huge hit from trams and tube lines. In 1900 one train a minute arrived at or departed from the station in rush hours, but passenger numbers halved in the next ten years and halved again by 1920. It did not help that the station had been bombed by a Zeppelin in 1915. Electrification in 1916 possibly stemmed the tide a bit, but the station never recovered its Victorian importance. It was bombed again in 1944 and never fully repaired. In 1950 part of the station was taken out of use and in 1967 its canopy roof was shortened and all but four of its tracks lifted. By the early 1980s it had only two services left - trains to Richmond and peak hour services to Watford. Shrubs grew between its derelict platforms and its facade was crumbling. Its death knell was sounded in 1979 when a service from Camden Town to North Woolwich was started using the former North London Railway Lines as far as Victoria Park with a link on to Stratford. In 1986 Broad Street's Richmond service was linked to this to create the North London Line around the top of London. At the same time Broad Street and the line into it from Dalston Junction closed. Watford services were diverted to Liverpool Street but never thrived there and ended in 1992. Broad Street was demolished and the Broadgate office complex built on its site, but a large section its approach line from Dalston Junction to Shoreditch reopened in 2010 as part of the Overground. The North London Railway's line from Bow to Poplar also lives on as the Dockland's Light Railway line up to Stratford, with All Saints station on the site of the former NLR Poplar station and Bow Church across the road from the site of the NLR's Bow station. The North Woolwich services, you will recall, had formerly fed into the Palace Gates line of the Great Eastern: but traffic on that branch was hard hit by the opening of the Piccadilly Line and passenger services from Seven Sisters to Palace Gates had ceased in 1963. The line has now been built over and little trace of it remains. North Woolwich closed in 2006, when it was bypassed as part of extensions to the Docklands Light Railway, but the rest of the North London Line still survives as the Overground from Richmond to Stratford and the Docklands Light Railway from Stratford to East Ham, Canning Town and Custom House. The way forward for other lines had been pointed up by the New Line and its use by the Bakerloo. Many suburban lines were connected to the Underground between the wars, including Shepherd's Bush to Ealing Broadway (a rural branch line until the 1920s) and the GER line to Loughton and Epping, both of which became part of the Central Line. The same fate awaited the Great Northern Lines to Finchley and High Barnet, which were being linked into the Northern Line in 1939 when the Second World War broke out. Trains had already started running in July of that year to an optimistic new art deco station at East Finchley, and amazingly work continued despite the start of hostilities. The High Barnet branch became part of the Northern Line in April 1940, and Mill Hill East (to serve a barracks) in May 1941. 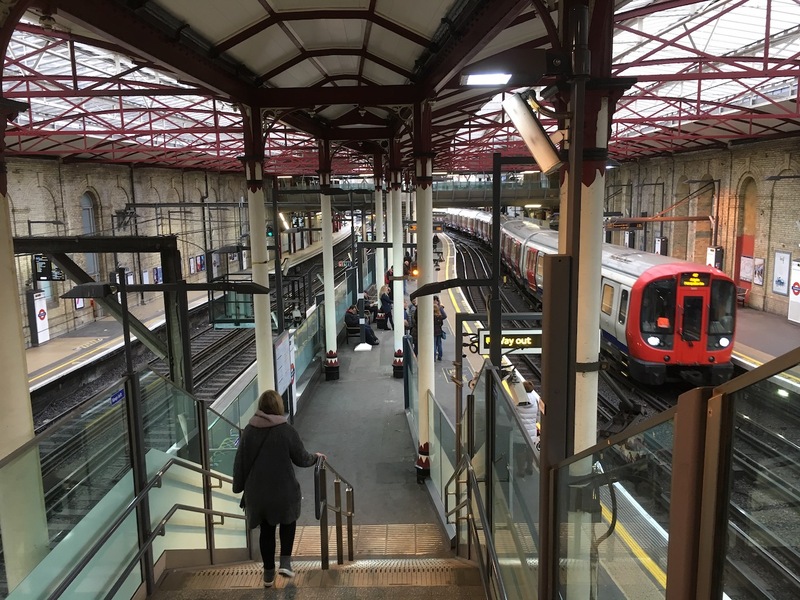 Acute observers will notice that the Underground services only ever use the outer two platforms at East Finchley, however, while the middle two are solely for empty stock movements to a depot. This is because the second half of the electrification project was shelved. This would have seen the line from Finsbury Park to Highgate and on to Muswell Hill and Alexandra Palace joined to the Great Northern and City Line from Moorgate to Finsbury Park. These lines would have also linked into East Finchley using the middle two platforms and would have had services extending beyond Mill Hill East to Edgware and Bushy Heath. Officially all this was to be the Northern Line, though it it is hard to believe part of it would not have been split off and given a separate name. Cable runs had already been installed before the war on some of these routes (some still remain, rusting away) and the surface station at Highgate had been refurbished in Underground style. But the tube trains never came. After the war there were other priorities and bus services seemed sufficient. Finchley to Edgware passenger services (apart from the short section to Mill Hill East) had already ceased at the outbreak of the war (though line continued to be used for freight until 1964) and the slow steam trains puffing up the gradient to Highgate and Alexandra Palace were no match for the much faster Underground. Usage of the line withered and it closed in 1954, with the tracks finally being removed in 1971. The abandoned surface station at Highgate can be seen today, crumbling away in its wooded dell, with the Underground station beneath it. The former trackbed from Finsbury Park to Alexandra Palace via Highgate is now the popular Parkland Walk - but had it become an Underground line it would undoubtedly have been a valued part of the network. To this day Muswell Hill is one of the larger centres in North London without a rail link. The route to it also includes a viaduct with a wonderful view over London, which would have made for a very scenic tube ride. But one can now enjoy it on foot, which is probably much better. One other line that failed to be included into the Underground network was the one from Wimbledon to Sutton. First proposed in 1910 and intended to be an extension to the District Line, it was opposed by both the London, Brighton & South Coast Railway and the London and South Western Railway on the grounds that it would infringe on their territory. When the line finally opened in 1930 it was therefore operated by Southern Railways (which had absorbed the LB&SCR and LSWR in 1923). Today it is part of Thameslink. This was not the only time that the District Line had missed out on a proposed extension. In 1881 it had applied to build a line from Putney Bridge to Guildford via Cobham. This was opposed by the LSWR, which instead agreed to let the District Line run trains to Wimbledon, operating the rest of the Guildford line (which opened in 1885) itself. Back on the City Widened Lines, some GNR, GWR and Midland services into Moorgate proved surprisingly long-lived. In 1930 there were still 20 trains a day from the St Pancras lines and 59 from the Kings Cross ones, 19 of the latter from High Barnet which ceased when it became part of the Underground. There were also a handful of Great Western services into Liverpool Street, though these ceased in 1939. Even in 1960 there were still 18 trains from the Kings Cross line and two from St Pancras using the Widened Lines, though after 1976 all trains were converted to running via St Pancras, with the tunnel links from Kings Cross to the City Widened Lines (one half of which ran under the outside curve of the Great Northern Hotel - the so-called Hotel Curve) being closed. Trains were diesel operated by this time, but in 1983 the Widened Lines were electrified. Only in 2009 did services to Moorgate by this route cease altogether when platforms at Farringdon were lengthened to take twelve car trains, blocking off the Moorgate spur. Though these Victorian urban railways in London are now long forgotten, in a very real sense they still live on. The start of Thameslink services in 1988 was nothing more than a new use for the City Widened Lines and a reopening of the disused Snow Hill Tunnel, while Crossrail is a project Victorian railway builders would have well understood and applauded. Meanwhile the Overground has revitalised all sorts of previously neglected urban lines, and even created a new outer circle. All in all the Victorians would probably find plenty of familiar features in the railway network in London today, and be pleased to see that trains still play a vital role in moving people around the city.